Encouraging your child to read can feel like forcing them to eat their vegetables. You know it’s good for them, but they don’t like it one bit. These daily struggles are frustrating, and you feel like a broken record. I’ve come up with a few guidelines to help steer you in the right direction with reading. Think about your child’s age. You might need to back up and read with or to your child if they are at a kindergarten homeschool curriculum level. Seek out homeschool resources such as appropriate books like “Chicka Chicka Boom Boom,” or “The Very Hungry Caterpillar,” just to name a few. Let them see you read and set the example. Our family likes to read books before bedtime and uses reading as a “winding down” time. It sparks the imagination and allows you to leave your real-world problems at bay and jump into another realm. Decide what your child likes to read and what you will require them to read. Homeschool resources, like the library, give your child an unlimited amount of genres to pick from, and have books appropriate for every age and grade level, even for your kindergarten homeschool curriculum. Do they enjoy fiction, non-fiction, biographies, history, graphic novels, fantasy, or mystery? Allow them to pick a “fun” book that isn’t a requirement. At the same time, find books that you will consider as a requirement. Our family likes reading abridged versions of classics like “The Little Princess” or “The Adventures of Robin Hood.” These types of books provide new vocabulary and clever wording. You can also watch the movies after reading the books to compare and contrast the stories. Instead of focusing on the quantity of reading time in your kindergarten homeschool curriculum, focus on the quality of reading. Help your child comprehend their reading by asking them questions about their book. If your child struggles with reading comprehension, you may want to seek out a reading comprehension tutor. They can break down the chapters, paragraphs, or even sentences, allowing your child to focus on what they read. 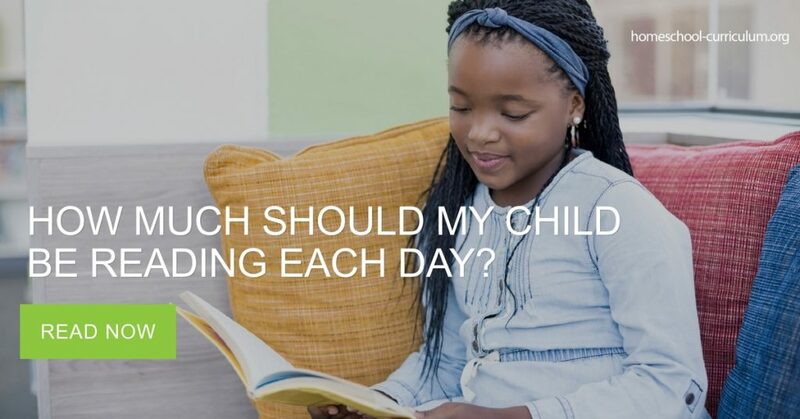 Keep the reading simple enough, so your child doesn’t get frustrated, but also challenging enough so your child develops a love of reading and storytelling. For more homeschool resources, subscribe to our website. Previous Post Home Education for Children Who Learn Differently Next Post How Do I Know What is the Best Homeschool Curriculum for my Kids?